We at Indiandrives try to keep you updated on each and every single piece of information that comes across to us. We have been telling you a great deal about various car launches, updating you about their performance and everything else. The recent of all and trust me when I say recent it is actually recent, is the very news that Audi is planning to relaunch its much acclaimed Audi Q5 in India again, but this time with a 2.0 litre TDi engine. This time there’s is no point of questioning this piece of news, as we got it right from the horse’s mouth. Currently, Audi Q5 in India is available with a 3.0 TDi V6 engine which comes for a price at Rs. 47.9 lakh and a 2.0 litre TFSI turbocharged engine at a price Rs 43 lakhs. Since, nobody from Audi has said anything further than that, experts say that this move of Audi is because of the changing scenario of the Indian automobile market. Audi is trying to get hold of the market. Out of the two variants that are currently available in the market the one which is best selling is the diesel variant. So in order to generate more sales by capturing the maximum market possible, Audi has decided to launch a new diesel variant. Undoubtedly the price of this vehicle is also low so as to get a better hold of the competition. 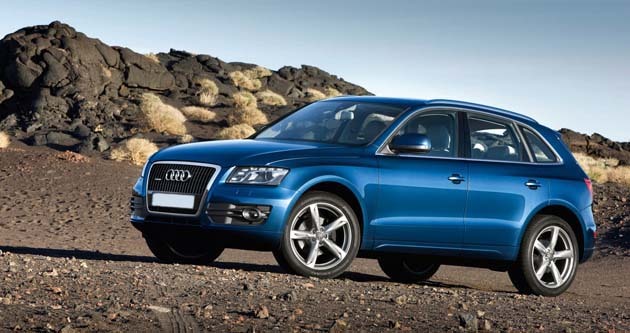 This new variant of Audi Q5 will flaunt a price tag of Rs 41.5 lakh very soon in the Indian automobile market.